Flaming Gorge National Recreation Area isn’t among the most famous outdoor destinations, but perhaps it should be. 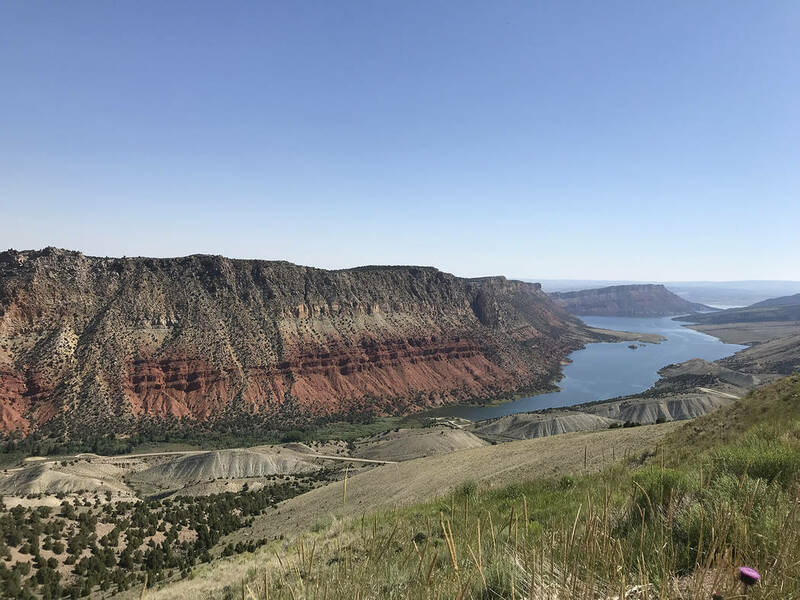 Certainly, if you plan a northern trip to Wyoming’s Yellowstone or Grand Teton National Parks, consider a side trip to Flaming Gorge. Located in a remote area of northeast Utah and southwest Wyoming, this is an outdoorsman’s paradise. The most popular activities are fishing, boating, rafting, hiking and camping. Deborah Wall The Cart Creek Bridge is used by vehicles to cross a scenic side canyon on the Flaming Gorge Reservoir, found along the main road to Dutch John, Utah. Deborah Wall The Flaming Gorge Dam in northern Utah is a thin-arch concrete dam that is 502 feet high from the streambed below. It was completed in 1964, which impounded the Green River to the north. Deborah Wall Sheep Creek Bay is part of the Flaming Gorge Reservoir within the northern Utah recreation area. The area is primarily spot to launch a boat and ideal for fishing. Deborah Wall The Green River below the Flaming Gorge Dam in northern Utah is a fly-fisherman’s paradise. Deborah Wall The Green River at Little Hole in northern Utah has boat ramp and picnic area. When Maj. John Wesley Powell and his men traveled down the Green River in 1869, beginning his exploration of the Green and Colorado rivers, he named it Flaming Gorge for the brilliant colors of the red rocks. Summer temperatures are very pleasant here, thanks to the high elevations. The reservoir, for example, is about 6,000 feet above sea level, yet the Red Canyon Campground area is at 7,400. You can expect daily highs in the 80s at the lower elevations and much cooler in the surrounding mountains. The main reason people visit is to take advantage of the 42,000-acre Flaming Gorge Reservoir. 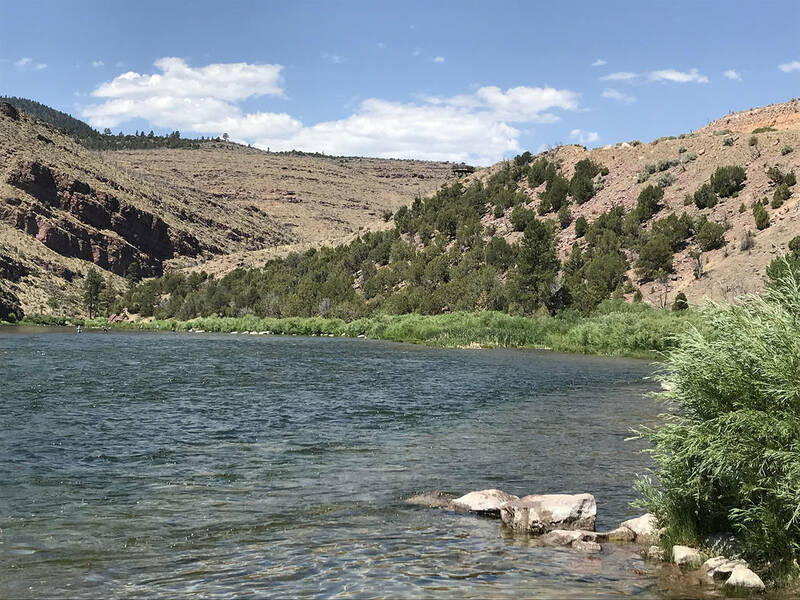 This lake was created after the Flaming Gorge Dam was completed in 1964, impounding the Green River upstream and creating 360 miles of shoreline. So much shoreline offers practically unlimited boating, fishing and sightseeing opportunities. There are numerous marinas throughout the reservoir, giving many options where to launch your craft. If you are an angler, you won’t be disappointed; it’s no stretch to call the fishing world-class. Every key species here is a favorite: lake trout (Mackinaw), brown trout, rainbow trout, kokanee salmon, smallmouth bass and channel catfish. Below the dam, the Green River flows hundreds of miles farther until it reaches the Colorado River, which then empties into Lake Powell. The section directly below Flaming Gorge Dam is popular for rafting and kayaking. Most visitors launch a rented boat from one of the local outfitters or resorts, travel down to Little Hole, and take the craft out. That is about a 7-mile trip and has a few easy to moderate sections of rapids, rated class I and II, depending on water release from the dam. Through local outfitters, rafting trips can also be extended into adventurous multiday excursions downstream. 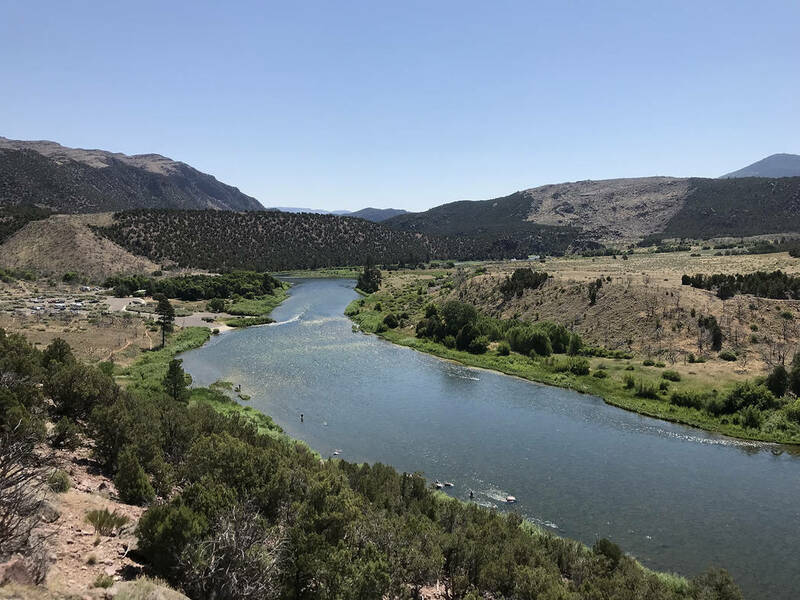 This section of the river is also one of the best trout-fishing areas in the West, and you’ll find fly fishermen lining up along the banks or in the water, casting for a rainbow trout. If you fish here, be prepared for cold water; the flow from the dam is measured at 55 degrees or colder. If you spend a night or longer here, you’ll find plenty of choices for camping and lodging. There are 43 campgrounds that have more than 700 campsites, located throughout the park. Dispersed camping is allowed on forest service land and is practically unlimited. Many other campsites can be accessed from the water. Furthermore, there is an unusual quantity of lodging, ranging from basic rooms with beds to full-service resorts. Most lodgings and services are at Dutch John, Utah, surrounding the dam. For guided fishing, raft or scenic trips, contact the U.S. Forest Service at 435-784-3445 for information on the current permit holders. You can rent a kayak or raft from several businesses in the Dutch John area. They include Flaming Gorge Lodge, at 435-889-3773 or flaminggorgeresort.com, and Green River Outfitters, at 435-885-3338. For tours of the Flaming Gorge Dam call 435-885-3135. Many of Deborah Wall’s columns have been compiled into books about hiking in the Southwest. She is also the author of “Great Hikes, a Cerca Country Guide” and a co-author of the book “Access For All, Seeing the Southwest With Limited Mobility.” Wall can be reached at Deborabus@aol.com. 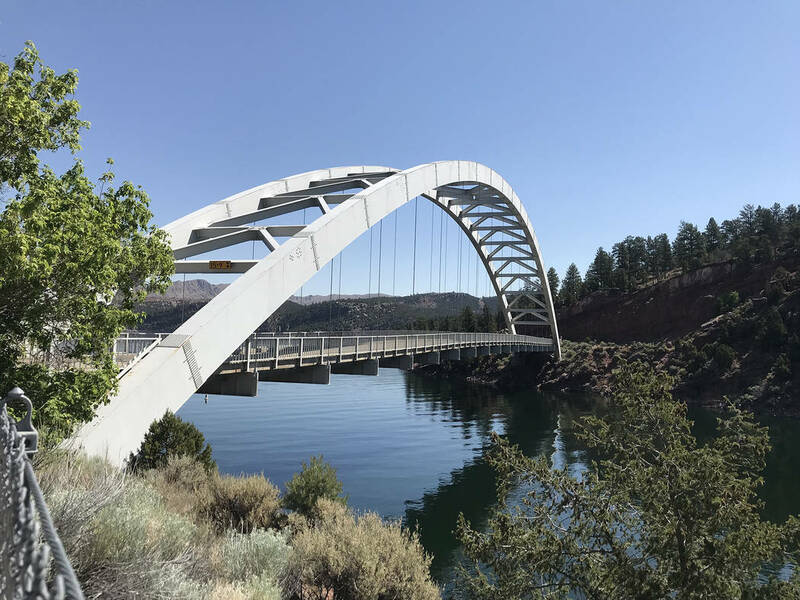 There are abundant ways you can get to Flaming Gorge depending what your travel plans and interests are. You might want to start a visit driving north from Vernal, Utah, up about 25 miles on Route 191, to the southern boundary of the park. 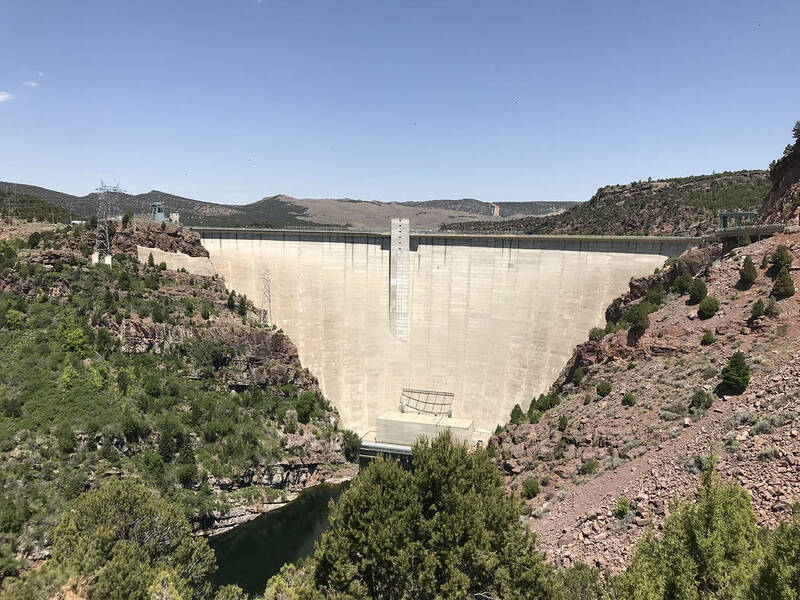 Once you enjoy the southern area of Flaming Gorge you can drive north, and depending on your route, end up on Interstate 80, in either Fort Bridger, Green River or Rock Springs, Wyoming. Other great options are driving to Salt Lake City or Park City, Utah, and getting on the I-80 east to Fort Bridger and then head south.